I'm not in your class, but the restaurant has also been Catherine's. My family I ate there every Friday night (we drove from East End because my step-dad still banked in Sheridan). 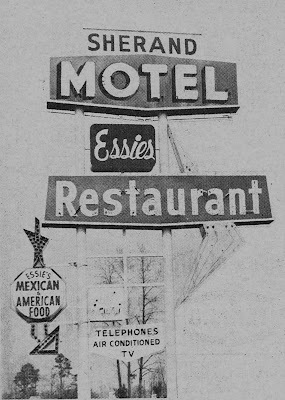 My fondest memory of Essie's was her Spanish omelet. My mom ate those and Essie's salsa sauce that came on it gave my mom laryngitis for 3 days. My step-dad called dropped a few days later for a pint; said it was the quietest time he'd ever had at home. 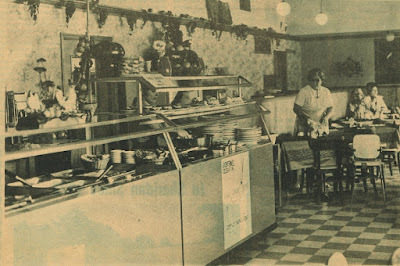 After it was Essie's and before it was Charlie's, it was "Smitty's" owned by Truitt and Jerri Smith, who still reside in Sheridan and still make those awesome yeast rolls. I spent many a Sunday after church, helping clean tables and dishes b/c people were lined up outside to get in for Sunday lunch. Even though Nonnie just celebrated her 80th birthday, people still call and ask her to cook for them. I'm not in your class either, BUT I get extra points b/c I stalk your blog AND your better half was in MY class.